Over the past one year, I have met amazing people. And like the saying goes; people come and go. But there are always going to those that come and stick, because they have a story to tell, one that will have a lasting impact. Mbula Kaluki Musau is a Kenyan living in Uganda and has been doing so for the last 7+ years. She is a talker, and talks a lot about coffee and with so much passion. And I always wondered: what is there about coffee? until I heard her talk. Mbula with a friend wearing an apron that says it all. these skills to other people. Mbula is also a ‘cupper’. She will take a sip of coffee and tell you which beans they are, the country they are from and how it has been brewed. When you get into into her house, yo will think that it is an international coffee hub. From her travels and teaching, she is able to collect quality coffee from all of the coffee growing regions of the world. I caught up with her a few days ago and we had a chat. Mbula : Of all the departments in the Java House chain I gravitated towards coffee. Despite being world renowned for high quality coffee, this was the first place in Kenya you could find a decent-tasting cup of coffee then. I thought to myself ; these statistics needed to change and fast. Before the chain opened, we were given an oppurtunity to taste everything on the menu as employees. It was all amazing stuff ; most of the things I had never tasted. But they had to do with international recipes, concoctions and a myriad of local and foreign ingredients and spices. The coffee on the other hand was plain roasted and brewed but it tasted so good. Iremeber asking my boss if it was imported! He assured me it was from the Kenya Coffee Auction, only difference being that it was “export quality” and not what was sold locally… I could not believe what a wrong perception I held about “local coffee” all my life, a stark contrast with what the world was exposed to, as one of the finest qualities. It was intriguing and I wanted to know as much as I could about it and be a promoter. That is when I decided that I would go with Coffee. Me: What makes your job the best ever? Mbula: My job is not only about the bottom line. It is one of the most dynamic industries I know. There is never a dull moment, there is always something new to learn at different levels of the value chain, in all the different countries. It cuts across the social realm, affecting and impacting lives of millions of individuals, families and economies both in Africa and in the West. From that farmer whose life depends on his harvest, to that CEO in Europe whose creativity is triggered by that cup every morning. Kenya was just a drop in the ocean. 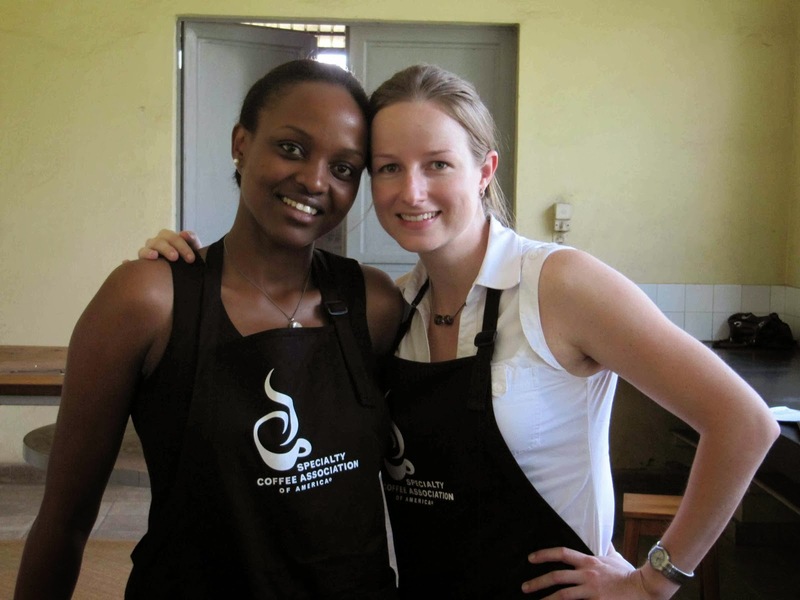 When I moved to work in Uganda for the regional coffee association, I discovered the uniqueness, variety and breadth in Africa. Uganda produces 4 times the volume of Kenya, Ethiopia 8 times, and 10 other countries in Africa with theirs to offer. Oh and the travel… Seeing the world, literally. Me: What are some of the most touching moments you have experienced so far? 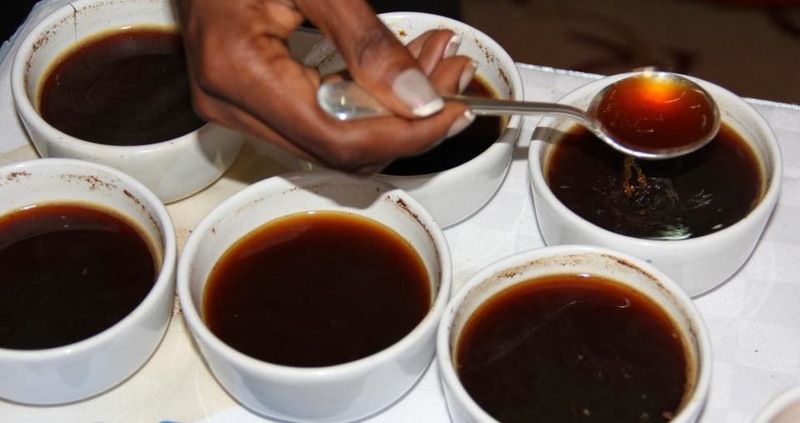 Mbula: Its got to be the myths surrounding coffee… In 2008 I was part of a team training farmers in Eastern and Western Uganda, and some of them despite having grown coffee for decades, had no idea that the final product was beverage and thought the dried cherry (kiboko) was used for bullets. We hulled off the dry cherry, roasted the green beans on a pan, ground it with a mortar and pestle and brewed it with some hot water and had them taste it and the “aha moments” were memorable. Me: What has it been like for you as a woman growing in this business/career? Mbula: Challenging but very rewarding. Challenging because TIA, and that statement explains a lot in itself. I have had to work extra hard and I have learnt to like it. Story of many-a-woman in various arenas. People try and use stereotypes to bring you down. I choose to learn from this and use it as a platform to launch. Rewarding because I have seen the simplest cliche from my parents work out- I can achieve anything I set my mind to regardless of dynamics I cannot change. Me: What are your greatest beliefs that have driven you till now and kept you going? INTEGRITY is as important in business as the hustle. WORK at it with all you have got. Philippians 4:13. I can do all things through Christ who strengthens me. Mbula is a runner. That is how she was able to take part in the 5km charity run Boston for the women in DR Congo. If she is not somewhere around the world grading and tasting coffee, you will probably find her running. Lesson learned: follow your passion. It will always take you places. African Union sovereignty: what does that even mean?